Taste Of Country Website has posted the following about Merle Haggard and his health condition. 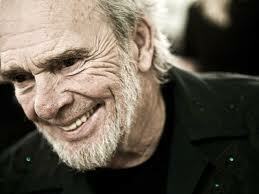 Lets keep prayers going up for the Hag. He and George Jones are the last two major Country Music Male legends fromm the senior class left! Merle Haggard attempted to go home to Northern California last week, following treatment for double pneumonia. However, he returned to the hospital partway through the bus ride, realizing something still wasn’t right. The Associated Press reports that the 74-year-old singer was found to have three stomach ulcers, eight polyps in his colon and diverticulitis of the esophagus. A hospital spokeswoman says that he’s now undergoing aggressive treatment for the pneumonia. The country legend entered the hospital on Jan. 17, minutes before he was scheduled to perform in Macon, Ga. He’s since canceled the remainder of his January tour dates. The next scheduled show is on Feb. 28 in Tucson, Ariz.